1. Hon. Catharine HOLMES, daughter of Lord Leonard Troughear HOLMES (1731-1804) and Elizabeth TYRRELLL (c. 1735-1810), was born in 1765. She was baptised on 20 September 1765 in Newport, Isle of Wight. She had the title 'Hon.'. She married Edward RUSHWORTH on 28 August 1780 in Calbourne, Isle of Wight. She died on 9 December 1829 in Bowcombe Cottage. 2. Lord Leonard Troughear HOLMES, son of Thomas TROUGHEAR D.D. and Elizabeth HOLMES, was born on 24 May 1731. He had the title 'Baron (in the Irish Peerage)'. He was a Clergyman. He married Elizabeth TYRRELLL circa 1759. He died on 18 January 1804 in Newport, Isle of Wight. 4. Thomas TROUGHEAR D.D. was born on 6 September 1681. He was a Vicar of Carrisbrooke with Northwood. He married Elizabeth HOLMES in 1724 in Thorley, Isle of Wight. He died in 1762. Thomas TROUGHEAR ( -1762). Thomas was a Lieutenant Governor of the Isle of Wight, Colonel in the Army. He died in 1762 in Havannah. 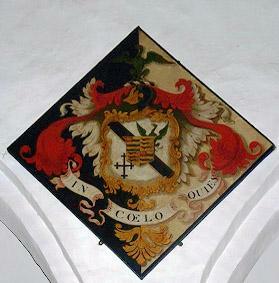 Henry TROUGHEAR (1725-1752). 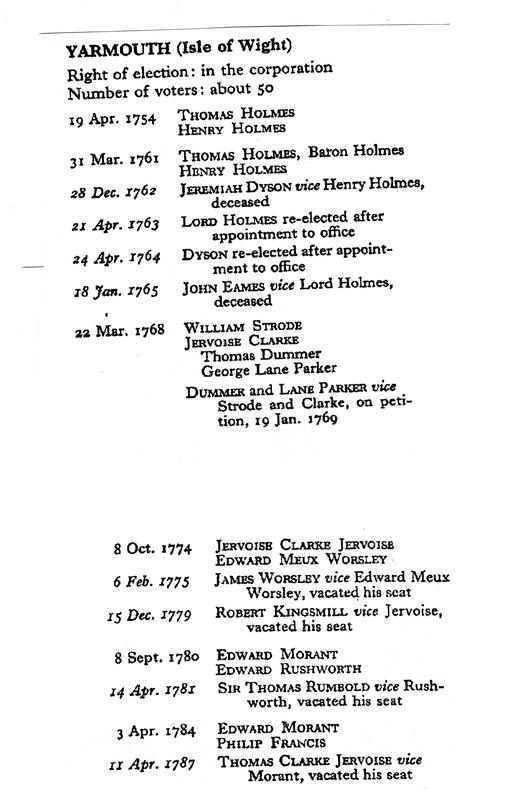 Henry was born in 1725. He died in 1752. Mary TROUGHEAR (1726- ). Mary was born in [Julian] January 1726. She married Benjamin LEIGH on 8 September 1748. Robert TROUGHEAR (1730-1748). Robert was born on 2 March 1730. He died on 1 October 1748 in Havannah. John TROUGHEAR (1733- ). John was born on 28 February 1733. Elizabeth TROUGHEAR (1736-1769). Elizabeth was born on 31 May 1736. She died on 6 March 1769.